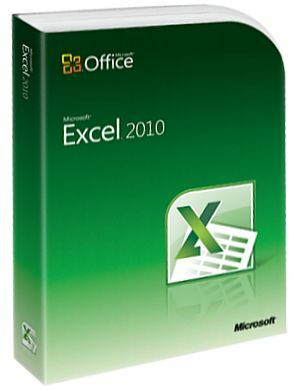 Microsoft Excel 2010 makes it possible to analyze, manage, and share information in more ways than ever before, helping you make better, smarter decisions. New analysis and visualization tools help you track and highlight important data trends. Easily access your important data on the go from almost any web browser or smartphone. You can even upload your files to the web and work simultaneously with others online. Whether you're producing financial reports or managing personal expenses, Excel 2010 gives you more efficiency and flexibility to accomplish your goals. *Requires Microsoft Sharepoint Foundation 2010 or a Windows Live account, Internet connection, and supported Internet Explorer, Firefox, or Safari browser. There are some differences between the features of the Web Apps and the Office 2010 applications. **This product includes both 32- and 64-bit versions for a single computer. We recommend the 32-bit version, which runs great on both 32- and 64-bit versions of Windows. People who routinely use very large documents or spreadsheets that need more than 2 GB of memory may want to run the 64-bit version, but many common add-ins for Office don't run correctly in the 64-bit edition. The license designation for this product when purchased from the Microsoft Store Online is FPP and the Retail License Terms apply to that purchase.